Train to the highest of standards with this Elite Tech Midlayer Top from New Balance. 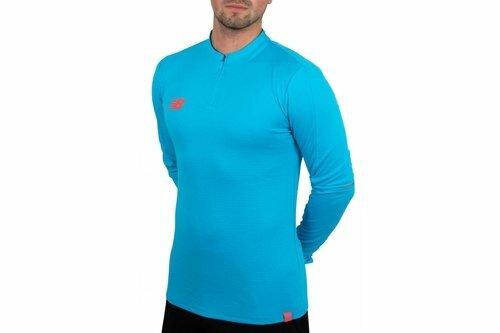 This sweatshirt is made from a polycotton knit which sits comfortably on the skin whilst keeping you cool and dry during physical activity, whilst the 1/4 design ensures there's quick on and off access when the action steps it up a notch. This men's top has a quarter length neck zip, thumbholes and a zip pocket. Coming to us in a sky blue with orange NB logo and authenticity tab.